The last few years we have been planting zucchini in our garden. We love zucchini bread in our house so it always nice to have fresh zucchini from the garden for bread. I have one go to recipe that everyone loves and I find myself making that one over and over again. Even my father-in-law requested that zucchini bread when he was visiting last month. 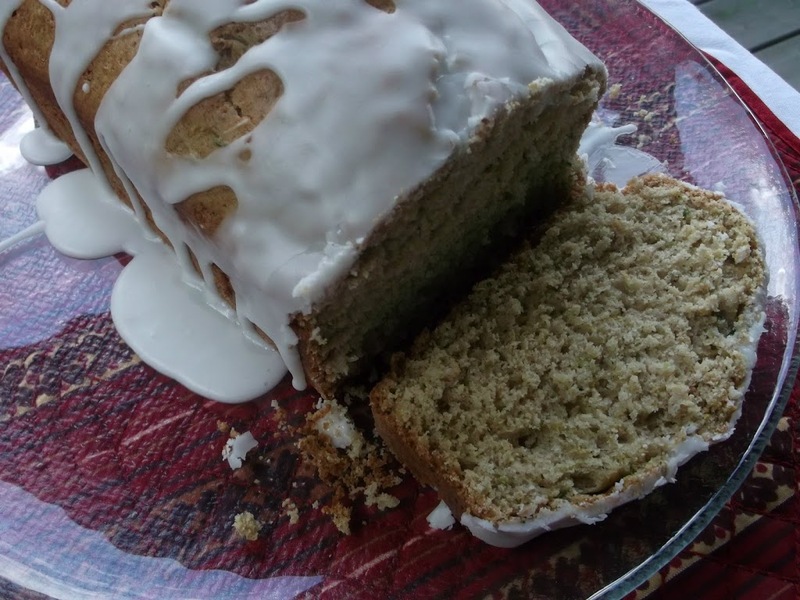 I know my mother-in-law made zucchini bread for him before she passed so I was more than happy to make some for him. 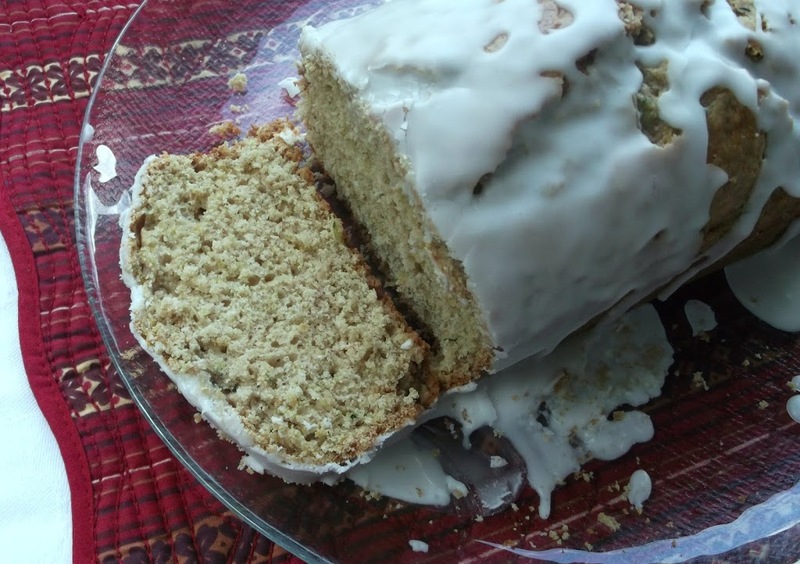 Last week when I was thinking of making another batch of zucchini bread it hit me, I had not tried a new recipe this year. 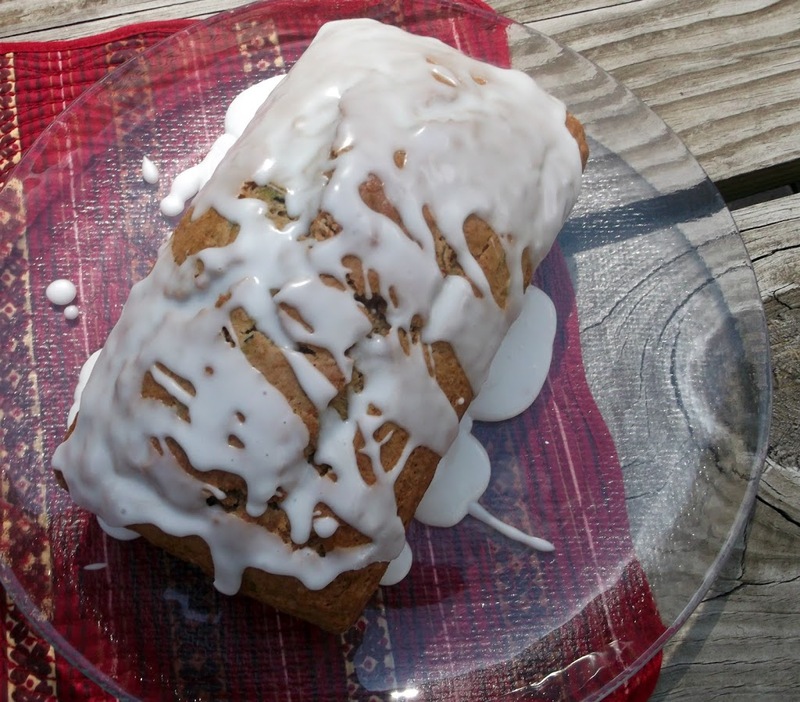 Even though I have that one favorite recipe I like to try at least one new if not more zucchini bread recipes a summer. You never know when you will find a recipe better than the one you are using. After surfing the web I found one that was rather intriguing. I found the recipe at Food And Thrift. The recipe called for lemon which if you have read some of my last posts you know how I feel about lemons. At first I was a little skeptical with the lemon and zucchini combination but decided to go ahead and make it anyway. I am so happy that I did, the zucchini and lemon turned out to pair very well together. I would suggest that if you make this recipe that you check it a little before it is supposed to be done; I could have taken mine out a few minutes earlier. But none the least it was delicious and we have been happily eating it. Preheat oven to 350 degree F. Lightly grease and flour an 8×4 inch loaf pan. Combine flour, baking powder, baking soda, salt, and cinnamon in a medium bowl. Set aside. In a large bowl, add the sugar, the eggs, oil, and milk. Whisk together until well incorporated and creamy. Add the flour mixture together, to the wet ingredients add the grated lemon, and fold in the shredded zucchini. Spoon into loaf pan and bake for about 30 minutes at 350 degrees F. Lower the temperature to 325 degrees F and bake and additional 25 – 30 minutes, until wooden pick inserted in center comes out clean. Cool 10 minutes in pan then remove from pan and cool completely before drizzling the glaze on top. Glaze: Combine the powder sugar and lemon juice and stir with whisk. Drizzle over loaf. Wouldn’t have thought of pairing lemon and zucchini but it just goes to show that I need to be more open minded and try things, even if I’m not sure about them…or I can wait till you try it and tell me whether it’s worth it or not! Sounds so yummy. I love lemon! Oh, how yummy! I’m the only one who eats zucchini bread around here so it’s been a couple years since I’ve made any 🙁 I may have to remedy that and add a glaze, too! I love the idea of adding a glaze to this loaf! YUM. That glazing looks unbelievable! Have a good week.